Sea salt, caramel, and chocolate are a match made in heaven, and we at Harry & David® know a little something about flavorful pairings. 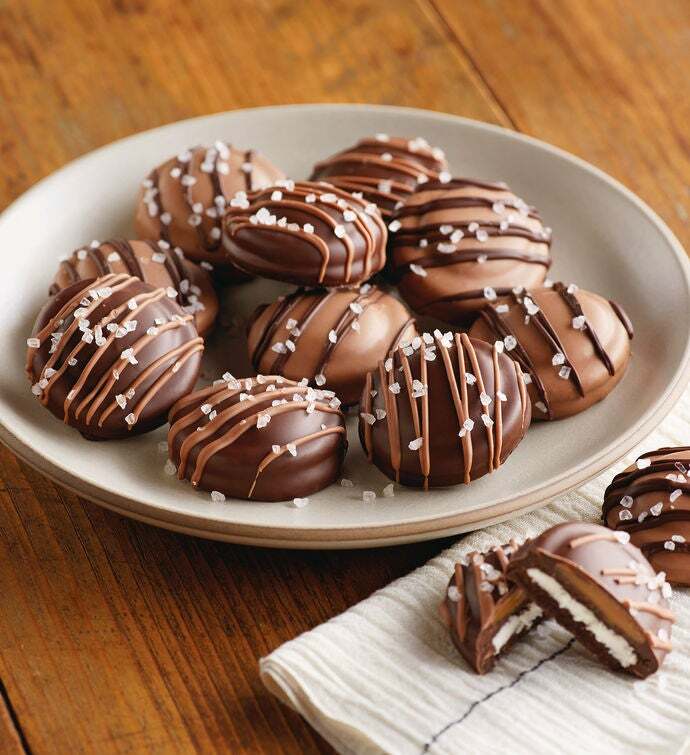 OREO® cookies coated in decadent gourmet Belgian chocolate – both milk and dark varieties, are hand-decorated with drizzled caramel and sprinkled with sea salt, for the perfect sweet-and-salty combination. Presented in an elegant gift box, this is an ideal gift for anyone on your list – be it a family member, friend, or a business associate.